Dismay A self-made farmer and rice mill owner causes a rebellion by his two sons when he installs his young mistress as the new woman of the house immediately after his wife’s death. Fleet Girls Collection KanColle Movie Sequence Animated film based of the video game series Kantai Collection. For a Few Bullets A con man and a Chinese government agent each have their own reasons for trying to recover a historical artifact from agents of Japan. The Midnight Man A girl and her friends find a game in the attic that summons a creature known as The Midnight Man, who uses their worst fears against them. Female Fight Club A former fighter reluctantly returns to the life she abandoned in order to help her sister survive the sadistic world of illegal fighting and the maniac who runs it. 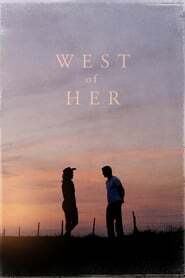 West of Her Two alienated young strangers participate in a mysterious guerilla street project, traveling the country in search of connection and answers to life's most haunting questions.